Making an image icon is not so hard not impossible! 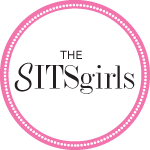 Thanks to SITS girls helpful Saturday sharefest post. I decided to try my hand at my very own button to represent my new group on the Mom Bloggers Club. It’s about connecting life bloggers with other life bloggers. Now I am not saying a giveaway here or there, a review here or there excludes someone, just that the blog itself should have life content that gives insight to the family or blogger. I was finding it difficult to connect to other bloggers on the Mom Bloggers Club that had the same kind of blog as me. So…I started a group. I made an image and voila! Clicking on the photo will take you to the group page. My goal is not to have a super successful popular group. It is only to invite others like me to have a place to go if they want. I don’t blog to get sponsors or make a brand. I just blog for JOY. I read blogs for JOY. I just enJOY it. If you do too, then come join us. Today is gorgeous outside! I am planning on getting some sunshine. I need a little warmth in my soul. I can’t wait until tomorrow. There is a BIG Easter egg hunt that Grandma Sue is hosting for all the kids after Church. I plan on taking lots of pictures, eating LOTS of chocolate, and just reaping the benefits of children on Easter Sunday. Abundantly joyful with angel lights shining from their precious eyes. I will rest my burdens at the foot of the cross. I will bow my head grace filled. My heart softened by his strength. I have hope in my future because of his past. I am forgiven. I am free. I am imperfectly me. May you be blessed this Easter and always. love your new icon – the photo is hilarious! I love your reasons for blogging! Happy Easter! Emily-I lived outside Ada, in a little town called Byng. I didn’t have an Emily in my class but boy does that sound similar! Definitely Oklahoma girls! Looking forward to joining your group. Happy Easter! Hi Angelia – I am looking forward to reading lots of new blogs through your new group and as you know I love making and receiving comments! Jane-Thanks Jane! I hope it grows a little more. I am thrilled you are part of it! I love comments too. Thanks for this one. Enjoy hunting eggs with that sweet Mirabelle. Shayna-Thank you so much! Enjoy your holiday too. Some of those technical posts I get and some not. HA. Glad I got this one. I hope to try some of the social widgets too. 🙂 Happy Easter! I love that button! I’m not a part of SITS or Moms Bloggers Club or anything, but I feel like I could hang with ya! 😉 Happy Easter! Much More Than Mommy-You totally could! Would love to have ya. 🙂 Happy Easter! Enjoy the day and the egg hunts with the kiddos. I finally finished my own little button yesterday and it only took me 5 months and 2 whole dedicated days!I love the sound of your new group and am going to check it out, you know all I do on my blog is tell my stories and act silly. motpg-Well, my first draft, the dimensions are not right. I am sure yours are! Yes, I love your blog. Reminds me so much of growing up and now raising Sydney. And who knows what to come? 🙂 Happy Easter! You do havea very creative side that never stops growing. I love how you share it all with us! Have lots of fun blogging! Happy Easter. Doraz-I definitely think hanging in blogland with all the creativeness I pick up from friends like you helps me grow! Happy Easter! Love the button. Happy Easter. Congrats on starting a group. peedee-The happiest Easters to you my friend! Hug your Dad for me! Thinking of you! lil ms snarky-Thank you for giving me a chance to. I pray this one is different than your other Angels. I hope he stays a precious Angel on earth. God Bless you for all you do. Ellen-Thank you for that! You know I will and I hope you do too. XOXOX! Sending you oodles of positive thougts for the success of you new group. Terre-Very sweet of you to do that! Would love others to have a place to find like (?) writed individuals. HA. That is funny. I had to read it a couple of times. But it is very clever! What a FUN button you have made!! And what happy and fun kids you had to create the image!!! Today IS a special day…Easter…. We are doing an Easter egg hunt in our yard later today (yay! outside!!!)!! Happy Easter to you and your family…. Lance-Happy Easter Lance! What fun! It is very special, what an honor to have an Easter Sunday to enjoy. Especially with family. I hope you enjoy it to the fullest. Cute button! Hope you had fun at the Easter egg hunt. Heather-It was fun! Those little kids are too fast for me. Most of my pics are of the back of heads! LOL. Jaymie-Hope you had a happy one too! And hope your birthday was the best!